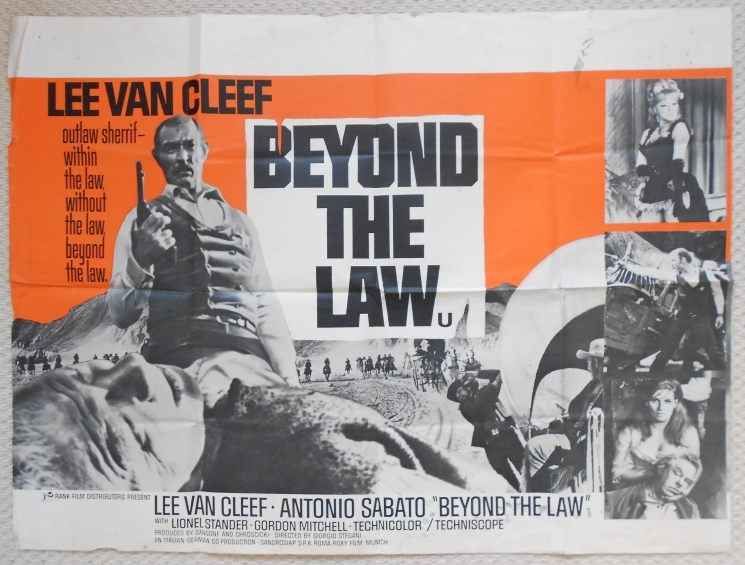 Original 1968 UK Quad poster for the film 'Beyond the Law' starring Lee Van Cleef. This poster is in VG+ condition and measures 30" x 40". The poster has edge wear, small staining around the middle bottom fold and tack holes.